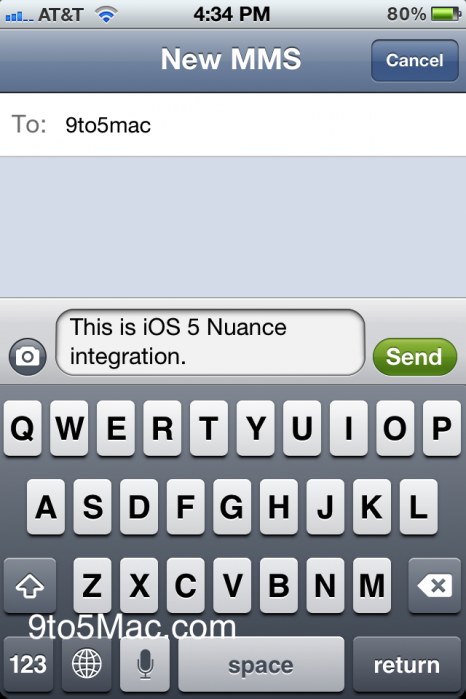 When rumours of Nuance integration into iOS failed to materialize at WWDC, hints of speech to text have continued to show up in iOS 5. 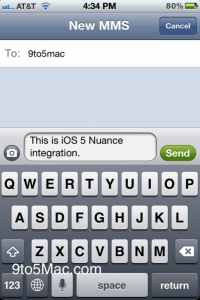 Now, with some digging screenshots have appeared of how Nuance will be integrated into iOS 5, as noted by 9to5Mac. 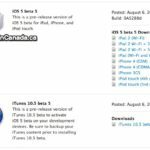 Apple’s certainly aware that individuals comb through every new developer beta looking for hints of upcoming features. In this instance, they’ve obfuscated the names of various pieces of the interface. For example, calling the microphone button “forward delete key” and the keyboard pretends to be a “Dvorak” keyboard. 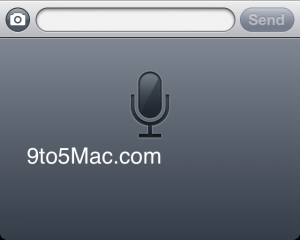 Can’t wait for this to go live in iOS 5 final.